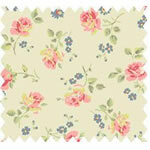 Beautiful cotton fabric for your doorstops! We are pleased to announce the launch of a brand new section dedicated to cotton fabric. 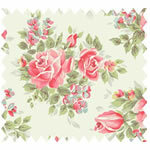 In this section, you will find elegant floral cotton fabric that you can use for your sewing projects. 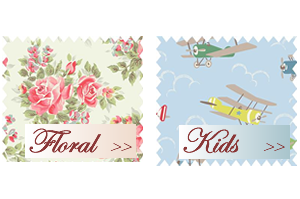 To decorate your kids rooms, we have also created a range of kids cotton fabric with various patterns such as planes, trains, cowboys, circus, and boats! 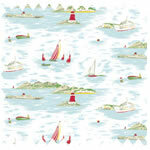 These cotton fabric prints are ideal to create stylish fabric door stops that would add beautiful colours to your rooms. You can also use these selected cotton fabrics for small craft projects as they are great for cushion covers, curtains or tablecloths.